Comment: I would like to get an estimate for having my backyard checked for mosquitoes. Comment: Termites discovered in attic during HVAC inspection. Comment: There is a beehive on the front left side of my building on the exterior of the 2nd floor of my unit. They attempted poisoning, but the bees are back. First Western Pest Control, Inc.
Burbank Pest Control Services are rated 4.75 out of 5 based on 1,447 reviews of 37 pros. 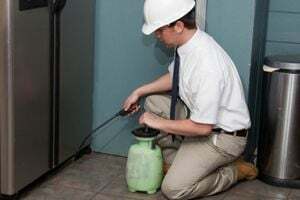 Not Looking for Pest Control Contractors in Burbank, CA?